Tia Torres' Married Life With Husband Aren Marcus Jackson Is Anything But A Fairy Tale-Find Out Why? Home Article Tia Torres' Married Life With Husband Aren Marcus Jackson Is Anything But A Fairy Tale-Find Out Why? Best known for her role in "Pit Bulls & Parole", Tia Torres' personal life is filled with ups and downs. You could argue she is unfortunate as far as her love life is concerned. The man she fell in love with, Aren Marcus Jackson, might have loved her unconditionally, but sadly for her, he was barely ever around. What caused the couple to depart without actually splitting? Are they still together? Without further ado, let's find out. Tia Torres began her relationship with Aren Marcus Jackson in the 1980s. The pair first met when Tia was trying to track down the owner of a lost dog and as she located the owner, it turned out to be none other than Aren. The duo soon became good friends after their encounter and kept in touch by writing letters. 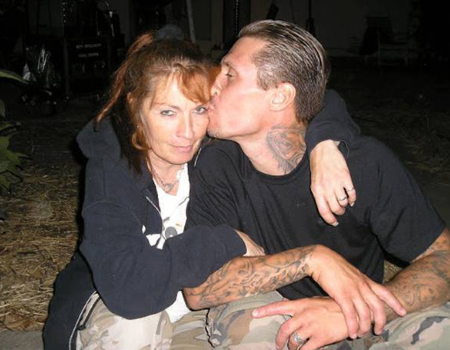 Tia Torres with her husband Aren Marcus Jackson. During their dating days, Aren was arrested for the accusation of 11 felonies, including second-degree burglary of a vehicle, receiving stolen property, grand theft, unlawful taking of a vehicle and several others. The couple tied the knot in 2006 after Aren was released from prison. The duo was supposedly happy with their marital life until Jackson was sent to prison once again, for the second time. In fact, Torres' partner has been arrested many times in the accusation of various crimes, most notably theft, shooting at police, trying to escape from the police car and so on. The couple shares four children in total among which two are adopted. Tia welcomed her daughter, Tania Torres from one of her past relationships. Sometime later, the pair welcomed their biological daughter Mariah Torres. In addition, Tia adopted Hawaiin twin brothers, namely Kanani Chock and Keli'l Chock. 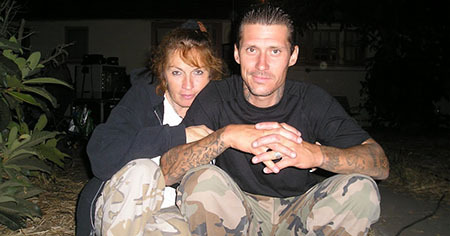 Jackson is behind the bars at present in California for 15 years since 2007. You can imagine the nightmare Torres went through seeing her husband depart to prison after barely getting time to spend together. Meanwhile, Tia is a keen animal lover (one of the reasons she met Aren in the first place). Moreover, she tours the world as an animal trainer, especially for movie productions. Torres holds a degree in criminal psychology and has a keen interest in fashion designing. Furthermore, she took part in many beauty pageant shows. Are Tia Torres And Aren Marcus Jackson Still Together Or Divorced? Tia Torres and Aren Marcus Jackson are living a life that is anything but a fairy tale. Impressively, the love and support the couple shared in the past were evident for everyone to see. Despite getting arrested in 2007, Torres still defended Jackson. She often released the statement of her partner not being guilty claiming he was falsely accused. "Speaking of Mr. Jackson who only appeared in one and a half episodes, 10 years ago. Everyone wants that fairytale happy ending. And despite that fact that I have not mentioned his name NOT ONCE for the past 10 years, according to the lovestruck experts on some of these websites who want so badly for "Tia to be in love"...SURPRISE! I've been divorced for years. I'm thinking that maybe now I need my own spin-off now...Date My Dog...if you can get past Lucky....you might have a chance." It's pretty clear that Tia is no longer with her husband. So, is she dating a new man? Well, it's quite shocking that the pair is no longer together. It remains to be seen if Torres welcomes a new man in her life. However, no signs point towards it just yet! Born on 11th June 1960 in California. She was raised by her stepmother. She is the founder of Villalobos Rescue Center, the largest pit bull animal shelter in the US. She is a star on the Animal Planet reality TV series titled Pit Bulls & Parolees. She opened the shelter in California initially before moving to New Orleans, Louisiana. She left home when she was 17 years old along with several pets. She was previously a truck driver and would serve in the US Army. She worked as a youth gang counselor, after the Army. She featured as a guest on The Daily Show with Jon Stewart in 2014. Her net worth is estimated to be $300,000.